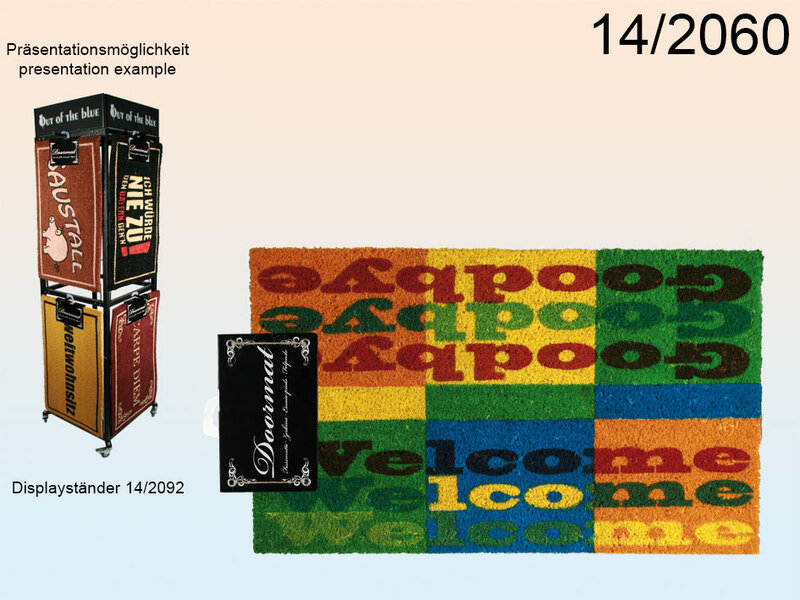 Doormat that reads Welcome/Goodbye made of high-quality coir that perfectly stops the dirt from the soles of our shoes. Useful and stylish piece for both home and office. Casual promotional item for everyone. Dimentions: 45 x 75 cm.